Ocholi was approaching adolescence when he left his native land Adumu to go live in the city in search of greener pastures. It was believed in olden days that inhabitants residing in the rural area were never-do-well people. Adumu is a minuscule village in the middle belt region of the country with a sparse population of about three thousand people. They have dominion over a larger mass of land than any other village kingdom in the middle belt region, lands which were acquired as a result of conquest in war. The village’s head palace is located near a very large mahogany tree situated ten kilometres away from the village square. This tree is of great significance and importance to the people of Adumu. It is believed that the ‘fore-fathers’ of the land had buried seven slaves alive under this tree as a sacrifice in order to cleanse the land from any kind of plague. Additionally, this great sacrifice was also believed to have been the source of strength to the warriors of Adumu land and they have never lost a war. Due to this fact, conquest was always ascribed to them even without having to fight a war. During the third month of the year, the people of Adumu assemble themselves in front of this historic tree to celebrate the Igolo festival. The Igolo festival is one of several copious festivities enjoyed by the people of this mighty village. Others are the Otegu, Okun and Mungulu festivals. The Igolo festival is of paramount importance to the residents of the village. The ceremony kicks off by twelve noon on the third month of every year and it continues for three days. The king declares the festival open by performing a libation to the “grand-gods” of Adumu land followed by an offering of opening prayers. After the king’s prayers, the Chief Priest of the village performs additional necessary rituals by communing with the grand-gods of the land. During the priest’s invocation, the sultry summer afternoon and the bright sky will immediately turn dark, turning into a scary menacing night. Thick dark Clouds will gather in the atmosphere from a distance and then spread until they reach to where the priest is invocating. The rumbling of thunder will be heard from a great distance as well. Just above the big mahogany tree where the villagers are gathered, lightning will flash, exposing your neighbour’s face that had been shadowed and hidden by the thick dark clouds. Then suddenly, a rumble of thunder that shakes every one present is accompanied by another flash of lightning. No matter how strong minded you are, you would definitely become frightened because it all happens so quickly without warning. You will be awed and startled when you hear the rumbling of the thunder directly above you because you are not expecting it. There is a story of one man who could not bear the roar of the thunder above him and he fainted. It is a very popular story in the land that the old people used in moonlight tales whenever they were telling children late night stories. He was a Stranger who had come to visit a friend in the village during the Igolo festival. He wanted to see for himself the legendary and scary tales he had been hearing about Adumu and her culture. He had told his friend that nothing could cause him fear in this life again. Contrary to his declaration of bravery, his strength failed him when the priest conjured and the bright sunny afternoon immediately turned dark and menacing. The darkness that covered the sky confused him greatly. It was very different from what he had imagined. He was not expecting that the darkness would be so thick and ominous, even darker than a normal night. Fear gripped him. He gave out a low cry and crumpled to the ground. “It was as if the flash of lightning and the rumbling of the thunder were directly above me” he said to his friend when he regained consciousness. When he regained consciousness, the priest had already finished consulting with the gods, and he could wait no longer for the ceremony to be over so he left the village immediately as fast as his legs could carry him. Whoever that heard the story would not be able to conceal his or her laughter. It is one of the favourite moonlight tales for the children of Adumu village. During the priest’s incantations on an Igolo day when the lovely sunny afternoon turns into a dark and dismal night, nobody is allowed to converse with their neighbour. The people of Adumu are all expected to be cool as a cucumber because it is believed that the grand-gods of the land are present showering blessing on their followers at that moment. They also believe that the grand-gods are omnipresent and see everything that is happening there. This is the reason why no one is allowed to converse during the priest’s consultation. The priest sounds his warning to the gathering that if a person’s voice is heard during his consultation it would mean that the person talking has no regard for the grand-gods – the person is interrupting the messages being given to the faithful followers. So, if you are found talking, it is stated that the grand-gods will deprive your small gods at home the power of answering your prayers and this deprivation will create unforeseen detrimental situations and hardships for you. “Your gods at home are going to be rendered powerless by the grand-gods,” the priest would always warn them. The people of Adumu seriously believed this facet of their culture and adhere strictly to it. Nobody wants to incur the wrath of the gods upon himself and his household. On the second day of the festival, the women would be asked to cook their favourite dish, bring it to the site of the sacrifice and leave it there with the plate covered as an offering. This act serves to solidify the belief in their culture that they are feeding the seven slaves in order for them to carry out their duty efficiently and diligently. “It is one that has eaten enough of a good meal that would have the strength to work,” the priest would echo to the women at every Igolo festival. The fact that the food disappears after a short period of time never ceases to amaze the people of Adumu. It is rumoured among the young peer age group that the priest has asked their mothers to cook these delicious meals so that he can share it with the elders of the land. Such accusations when flown to the ears of the priest normally peeved him. So on every Igolo festival the priest sounds his warning to the children gathered around to scare them from saying such a thing. The Priest also encourages all the parents present at the Igolo festival to keep preaching to their children on the importance of all the facets of Adumu culture and tradition. “They are our children and it is our duty to teach them our tradition, the ways of the grand-gods so that they will become old in the practice and they will never depart from it,” the priest would always preach to all the parents in the village. Ocholi and his friends find it difficult to believe the priest’s admonitions but they have no choice other than to believe him because they are mere kids with impressionable hearts. The Igolo festival normally ends with dancing from different age groups, masquerades and young maidens on the third day. There would be merriment and joy all over the land following the Igolo festival. They truly believed all plagues had been cleansed from the land and above all that their warriors had also increased in strength, might and courage. Another popular occasion in Adumu is the Otegu festival. On this occasion, masquerades will parade around Adumu and other neighbouring villages. Adumu village is considered as the Central Area for the celebration of the Otegu festival. Adumu loves culture fervently and the neighbouring villages admire her for that. At the Otegu festival, many forms of masquerades will converge in the village square dancing and displaying dance steps for the people to appreciate. The Otegu festival is full of fun and merriment. Unlike the Igolo festival where the Chief Priest’s incantations can cause someone to faint, there is nothing scary about the Otegu festival. If not for the superior importance of the Igolo festival, the people of Adumu would have preferred the Otegu festival to it. The celebration of the Otegu festival normally closes by allowing the Priests from the surrounding villages to also say words of prayer to the grand-gods. These other villages see the Otegu festival as an opportunity for saying prayer to the greatest gods in the middle belt region. During the festival, there is a dancing competition between all the masquerades from the different villages which the Umoto-Abuna from Adumu village normally wins. The Umoto-Abuna does not win the dancing competition because he is considered the head of all the masquerades but because he is indeed a great dancer. No other masquerade dance steps can be compared with the steps of the Umoto-Abuna. A third festival of prominence in Adumu is the Mungulu festival. Thisfestival is very enthralling to the entire youth in the village. On this occasion, maidens are invited to come to the village square to dance for the purpose of marriage. The males present will then choose their brides-to-be and if a proposal is accepted, a marriage ceremony commences in the three-market weeks that precede the Mungulu festival. Another celebration of mention is the Okun festival. This festival is a very brief and interesting festival because of the way it is enjoyed and celebrated by the people of this glamorous village. The celebration of the Okun festival marks the beginning of the rainy season. The commemoration starts immediately after the first rain of the season ceases regardless of the time the rain fell. If rain should fall and stop in the middle of the night, provided it is the first rain of the season, every inhabitant of Adumu is expected to go out to the market square and mark the beginning of the festival. All the inhabitants of Adumu always look out for the first rain of the season because nobody wants to incur the wrath of the grand-gods. Immediately after the rain stops, the villagers will begin trooping out to the market square where the priest would already be waiting for them to come out of their houses. The priesthood of Adumu land is indeed a herculean task because while the people are busy in their homes embracing the warmth of their household during the rain, the priest will have been in the village square communing and performing his rituals there in the rain. For just this reason, an indigene of Adumu holds the priest in high esteem. Every first rain of the season in Adumu land was always a heavy downpour so nobody dares gives any excuse of not knowing that a downpouring had occurred. The Okun festival is considered as a primeval ancestral festival because it is believed that this is a celebration of the first waters to pour out from the heavens upon the planet earth. The legend holds that when the gods first created the earth there were no means of providing for the growing of food after the inhabitants of the earth had finished eating all the food that the gods had created. There was great famine that occurred across the land. The priest cried and pleaded with the gods to not allow his creatures to die of hunger and starvation. The priest was deeply concerned for the welfare of his people. He entreated the gods until they poured down rain upon the earth. The people were surprised because they did not know why water was pouring down from the sky. All the waters they had seen had been on the earth in the rivers and lakes, not in the sky. The priest told them not to worry because the homes of the gods were in the sky. “Maybe they want to answer our prayers,” he told them as they became very worried. Immediately after the downpour, crops started germinating from where they had been sown by the breezes. The people watched in wonder as the green plants sprouted and grew. The green plants were beautiful and the villagers loved them. The plants grew and produced seeds and the people were astounded with the blessing that the mysterious rain had provided for them. After harvesting, the tribe collected the seeds and sowed them back into the soil again and these new plants produced even more seeds than the former had. They then became all the more joyous. Indeed, they now truly believed that the gods had brought the rain from the sky to solve their problem. They started sowing more of the seeds to the soil to see what would happen again. They were even more astounded to see that the new planting yielded fruits and seeds bigger and substantially greater than the ones they got from the previous harvest. That was how farming started in the land. The people of Adumu believe that farming first started from their land. Consequently, the Okun festival is seen as a doubly festive occasion; a commemoration to mark the first rainfall and to mark the beginning of the farming season on earth. The people of Adumu believe so deeply in their culture and heritage that they take it very seriously and do not joke about the necessary gathering together after the first rain of the season. They believe that if any man fails to come out and mark the Okun festival with his household because the rain fell at night, the gods will not hesitate to strike him down. “Nobody questions this tradition,” the priest would always warn them. Throughout the entire village, no one dares miss an Okun festival for fear of being struck down by the grand-gods, not even the King. Ocholi loves his village and he enjoys every season due to the different celebrations and period for fruits. To him life in the village was very smooth and simple. People there were living in peace and harmony and nobody dares to harm or bewitched anyone because he fears the wrath and anger of the grand-gods. Inhabitants of Adumu are very wealthy because they engage in the export of vegetables and fruits due to the rich soil of the land. Neighbouring villages have come to be very envious of Adumu because they always wonder why the gods have decided to bless only Adumu land. When he was six years old, Ocholi’s people were still in the dark with regard to other religious practices. They believed solely in their grand-gods because this was the only religion they knew. An elder in every compound is an orator for his own oracle in his home. His family members worship with him at his little shrine. The orator and his family members believe that their small gods at home convey their prayers to the grand-gods of the land, who will finally accept them and grant them their requests and wishes. At this tender age, Ocholi served in a shrine. His grandfather Olachene was the Eyes of the gods for the entire Adumu land. Olachene is regarded as one of the strongest and richest men in Adumu because he is very devoted to his oracle at home, let alone being a Chief Priest of the grand-gods of the land. His people also respect him not only because he is the Chief Priest but because he also possesses a gift of the gab. This made Olachene a great orator for the entire community. He also possesses a great character and he is very kind to his people. In every home in Adumu land, there is a secluded space for ritual purposes. Adumu is also rumoured to be the most powerful village in the entire middle belt because of her great warriors and traditions. Ocholi and his family worship their oracle with great zest. He is very proud of his family because nobody can browbeat him in the village. His grandfather was so devoted in his rituals that it got into his head, even when the white missionaries brought their religion to the land he remained faithful to the religion of his ancestors. The king and his followers had welcomed the white missionaries that came to Adumu and gave them five plots of lands. The King also employed people to build huts for them. The missionaries converted one of the huts that were built for them into their place of worship. The building was also used as a classroom to teach the children of Adumu how to read and write. The white missionaries were very pleased and happy with the way the people of Adumu had welcomed them. They decided to repay them for their hospitality and kindness by teaching the children and other interested adults of Adumu land how to read and write. The villagers were very pleased to learn a new language and also how to read and write in the new language. They were not however happy about the way the white missionaries were speaking against their gods and their ways of worship. Some parents decided to stop their children from attending the school owned by the missionaries. They were truly scared of the wrath of the grand-gods even though the strangers had said their gods were powerless. “It is only a foolish and blind man that would say the grand-gods of Adumu land are powerless. What they are saying is sacrilege. Our children might take to the teaching and get used to this abominable act,” Otidi said to Omele his wife. Omele was telling her husband to allow their children to continue going to the school after he had stopped them. Otidi had said he did not want to incur the wrath of the grand-gods upon his household by allowing his children to continue in that school. “This is the religion I grew up with. This is the religion that my father and the father before my father practiced. This is the only tradition I knew as a child and I was raised up in it. If the white man says his religion preaches that you should train a child in the way he should grow and when he grows he will not depart from it, how would they now want me to depart from the ways my father had taught me and follow their religion? Are the white men not contradicting their own teaching? Are they not going against what they are preaching?” Olachene said to the king when he summoned him to notify him of the white man’s teaching of their religion in Adumu land. The king agreed with his priest because he also had only known the religion of his fore-fathers and the ways of the grand-gods. “Let them practice their religion and leave us alone so that we remain in peace,” Olachene said angrily. “You are right wise one,” the king said and stopped because he knew Olachene was still pregnant with words. The king knew that people always get the jitters when they are to speak with him but not Olachene. Olachene was always very confident and conscious of whatever speech he makes and the king is aware of this fact. Aside from this fact, Olachene is also a priest of the grand-gods of the village so he is always free to see the king at any time. “Didn’t they use to say that the apple does not fall far from its parent tree? Why do they now want us to practice a different religion from the one our parents practiced?” Olachene kept asking the King. “You do not have to condemn, fight or force anyone to accept your religion. All you need to do is to pray for peace to reign in your village. These white missionaries are ignorant about our traditions. We are ignorant of theirs as well. We should look for a way to preach to them about the grand-gods and also about the sacredness of our traditions. Do not think I am a coward wise one,” the king chipped in defensively in a sultry smile because he noticed that Olachene had been quiet and staring at him with his mouth wide open in astonishment as he was speaking. He did not want Olachene to start thinking that he is a coward. “I know if we are prepared for battle the missionaries could never be a match for us. We have the best warriors in the whole of this region. They cannot stand against us in battle. I am aware of all the battles we have fought and won; all of the lands and slaves we have acquired through war. I am very aware of the strength of this village. If need arise we can even travel to their land and defeat them there as well. We are not scared of the metal they claim that can kill someone instantly when being shot. We are trained warriors, trained in the art of sword and physical combat. I am just saying that since they have come in peace let us welcome them in peace so that we all may continue to live in peace and development will come to our dear Adumu,” the king said. “You have spoken well your highness but you have to caution them to stop criticizing our tradition and mode of worship,” Olachene finally said and left the palace. Olachene’s son, Adah accepted the new faith without hesitation. 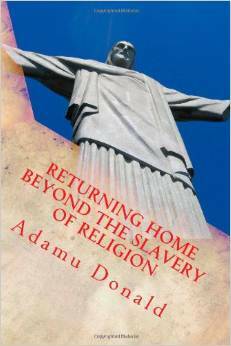 Adah had fallen in love with the new ways of reading and writing that the white missionaries brought to the land. He wants his son Ocholi to be able to read and write like the white men. He wants him to able to speak the missionaries’ language fluently as well. He fully enrolled his son into the primary school owned by the white missionaries. After six years, Ocholi finished his primary education at the age of thirteen and proceeded on to the city for his post primary education. The missionaries had not been able to build a secondary school in the village so he left for the city to stay with his uncle in the northern part of the country. While travelling on the bus to the city, Ocholi soliloquized all of the events he had experienced as a boy in the village. He had never been out of the village before. He thought of his friends, their hunting escapades and all the festivity he had enjoyed in the village. His mind was focused on what the city would be like. He tried to create a picture of what it would look like in his mind. “Is it going to be like Adumu?” he muttered slowly to himself. He was hoping and praying that nothing should change in the city because he is so fond of his village. Ocholi could not believe that he had shouted that way. He did not hear himself shouting. He had been soliloquizing the phrase in his mind. He never thought that his lips and tongue were going to betray his mind to scream out, “I love Adumu,” the way he just did. “What is wrong with him?” Ocholi could hear one of the passengers asking the person that was sitting next to him. “I think he is one of those first-timers going to the city for the very first time, the guy replied to him and they both laughed. Ocholi was staring at the other passengers, one after the other, to see their reaction. He could see that they were all smiling and nodding their heads. “He is one of those J.J.C’s going to the city for the first time,” another passenger was saying to his neighbour and they both guffawed with laughter. Some people even thought that Ocholi was a maverick. Ocholi then became very timid and shy because the people were all gazing at him as if he were crazy. After some hours, he drifted off to sleep because intermittent thoughts about his village and the incident had fully engulfed his mind. He woke up with a great poem of his home land on his lips. This time he was humming the verses of the folk song slowly and was equally being mindful of his tongue and lips so that they would not betray him like they had done before. The city greeted and welcomed Ocholi with the cold synthetic complexity and appearance which every city seems to look like to a remote rural dweller. It was topsy-turvy, monstrously attractive and yet at the same time there was an air of despondency around it which felt as if it were suffocating the life out of him. When he got down from the bus he stared with disbelief, a mixture of awe and enthrallment at the people around him. Men were wearing neat attires and the women were tidily dressed as well. The children were also dressed differently from those in his village. They were all well dressed in neat clothes and shoes very unlike the tatty clothes the children in his village wore. Also, in Adumu the wearing of shoes was uncommon as the people there preferred walking about barefooted. The very sight of people passing above him on an overhead fly over bridge amazed him and he went completely gaga for a moment. He was staring at a bus conductor, vividly following the conductor’s gait with his eyes as he was shouting for passenger to board his bus. The way the conductor was calling out the names of the places the bus was going to attracted him so much that he just stood there in place staring and listening to him with his mouth wide open. This infuriated the conductor and he accosted him to inquire if had ever seen him before. Ocholi was embarrassed and promised not to behave like that name they had earlier called him on the bus back then. His uncle alighted from his Toyota car and he immediately saw where Ocholi was standing. Ocholi had his eyeballs and neck working hand in hand as he kept peering and rotating to different angles to see the corner where his uncle would emerge from. Mr. Ado began smiling and waving at Ocholi immediately when he saw him. Ocholi recognized the person waving at him and he smiled broadly back at his uncle but he did not wave back. Ocholi started walking to where his uncle had parked his car. Mr. Ado had kept a perfect timing as to when the bus would arrive the north from middle belt. He still remembered his face from his last visit to the village because Ocholi looked very much like his late sister. He disagrees with the people of Adumu when they say that Ocholi carries the face of his grandfather. This was also the reason he had welcomed the idea of allowing Ocholi to come to his house in the north to study. Adah had also given to Ocholi a picture of Mr. Ado which he had gotten from him on his last visit for the purpose of recognition. Ocholi knew that he did not need any picture to help jog his memory on what his uncle’s face looked like. He never forgot the face that always gave him sultry smiles accompanied with monetary gifts and clothes, but his father had insisted that he must travel with the picture. Mr. Ado had visited the village when Ocholi was eight years old. He was very kind to Ocholi when he visited. Mr. Ado opened the trunk of his car so that Ocholi could drop the bag that he was carrying into it. He dropped the first bag and started running to get the second bag. As he was running he nearly collided with a woman hawking cashew nuts there in the garage. “If you push me down and spill my goods you will pay! You, this foolish small boy!” the woman cursed him. “I am very sorry madam,” Ocholi apologised without looking back to see the expression on the woman’s face. As his uncle was watching at him, he could see how excited the boy was. The way Ocholi was running to get his last bag to the car caused him to think about his late sister, Ocholi’s mother. When they were still young, she would always run around the house to make sure things were quickly done. He wished she was alive to see her son behaving very much like her. Mr. Ado was very fond of his sister and he was very close to her. He remembered how he had cried out his eyes when his father had told him that his sister’s name was among the list of virgins the king had agreed to give out to Adumu kingdom to fulfil the treaty they had signed with Adumu some centuries ago. He never imagined life without his sister in the village. When his sister was finally taken away from home to honour the truce his village had signed, he was so angry that he left the middle belt to reside in the northern part of the country where he had been living up till this very moment. As Ocholi was dropping the second sack into the trunk of his uncle’s car, he was just thinking of his uncle’s home. He is happy because his uncle has three children. “I will be playing with them and…..,” Ocholi said, thinking to himself. “What is in that sack?” Mr. Ado asked. His uncle’s voice cut through his own thoughts. He needed to stop what he was thinking about his uncle’s children and home to give a reply to his question. “Is it true that these items are expensive here in the city? That is what papa told me when he was trying to tie the mouth of the sack. He also said people in the city do not have enough land for farming and that is why things like these are expensive in the city,” Ocholi said. “You father is quite right about that. You people in the village are very lucky indeed. Here in the city we do not have the privilege or the opportunity to farm or hunt bush meat ourselves. When you see someone selling it on the roadside and you want to buy, it is always very expensive. As you can see for yourself most of the lands here in the city have been used for building,” Mr. Ado told him. Ocholi was still struggling to open the door of the car when his uncle was already seated inside. When he could not open the door, his uncle laughed and came out of the vehicle. He grabbed the door handle gently and released it gently again. Ocholi heard a very short sound as the door opened. He was surprised. “That is how to open the door of a car,” Mr. Ado said as he closed the door again. “Come and open the door now let me see if you can do it yourself,” Mr. Ado said. Ocholi repeated exactly what his uncle had done and it was very simple. He was elated that he had learnt something new. He closed his eyes as he sat down in the car. He imagined himself in Adumu among his group of friends telling them that he now knows how to open and close the door of a car. He knew they would be proud and jealous of him at the same time because none of his friends in the village had gotten the opportunity of touching a car let alone opening its door. The only vehicle they had seen in the village was the big long old bus that used to come to the village every two market weeks to convey people and farm produce to the city. They were not even allowed to go near the bus because it was rumoured that the city people used it to kidnap children. Ocholi could not help but laugh at their credulous minds as he thinks of all this now. The reverberation of his uncle’s car as he started the engine brought an abrupt end to his reverie. His mind had been filled with intermittent thoughts about his uncle’s house, what he was going to be doing in the house. Would there be a nearby stream for him and his cousins to go swimming in? Can his cousins swim? “Well, I will teach them how to swim and play in the rain,” he said to himself. He was more relaxed in his uncle’s car unlike when he had first boarded the bus from the village. “Uncle, why are these buildings moving?” Ocholi asked pointing at some skyscrapers. The question was amused to Mr. Ado but he didn’t laugh at his nephew. He knew that any person that asks questions is always ready to learn. “The buildings are not moving but the car is,” Mr. Ado said. “So you mean even the trees and rocks I saw while I was in the bus were not moving too?” Ocholi asked innocently again and Mr. Ado said, “Yes,” amidst laughter. “Uncle, please don’t laugh at me like those people in the bus I boarded from the village. They were even calling me names,” Ocholi said slowly. “Ehm! Ehm! Ehm! Ocholi said as he was trying to jog his memory with one of his finger placed on his lips. “A J.J.C?” his uncle said trying to help him out with the guess. “Yes uncle,” Ocholi said before asking what a J.J.C meant. “J.J.C is an acronym for Johnny Just Come. It is used to refer to someone that is visiting a place for the first time,” Mr. Ado said amidst laughter again. He didn’t bother to ask Ocholi what he did before they called him a J.J.C. He knew Ocholi must have done something funny to make them call him such name. “I was thinking about my village and I didn’t even know when I screamed, ‘I love Adumu,’ my voice was very loud when I screamed,” Ocholi said as if he was in his Uncle’s thoughts. Mr. Ado laughed out loud again. He was enjoying Ocholi’s company. He also likes the way they are chatting like they have known and spent quality time with each other before. He knows Ocholi will not have any problem with mingling with his children and wife. Ocholi’s voice brought an abrupt stop to Mr. Ado’s thoughts. “You just taught me how to open the door of a car back then in the garage and you have just taught me the meaning of the slangs J.J.C, I have learnt those and I will never forget them. I will keep learning new things and get myself acclimated with my new home. I promise never to let you down in anyway. I will do my best to be a good son to you and your wife and I will also be a good brother to my cousins,” Ocholi said placing his right palm on his chest like he was making a solemn oath to a god. Mr. Ado was taken aback by his nephews’ statements. He didn’t know that Ocholi had these kinds of thoughts in his head. He was still staring at Ocholi not knowing what to tell the young man. “Oh my dear sister, this is a real replica of you sitting here with me,” his mind told him. “Thank you very much for this opportunity,” Ocholi’s voice brought him back to his car. “You are most welcome,” he said to Ocholi with a broad smile and Ocholi smiled back at him. Ocholi didn’t remember falling asleep, but he slept soundly until they finally arrived at his uncle’s house. His uncle’s house was very different from what he had anticipated. He would be living with his uncle, his uncle’s wife and three of their children; Agbene, Enemali and Ojima. Being now the eldest of all the children in the household, Ocholi was expected to do most of the household chores and other odd jobs by Mrs. Abeni. His uncle spends most of his time in a distant village, one hundred and thirty kilometres away from his house working with the railway cooperation. He always has little time to spend with his family. He thought his wife would take good care of the family not knowing that most women are very much like a chameleon. They can change their colour at any time to suit any given situation. Mrs. Abeni rubs Vaseline on her face so that it shines so brightly such that whenever her husband is around he would never suspect she has been hard on his nephew. Nonetheless, Mr. Ado never allows his work to impinge on his family life and duty. He always attends to his family’s problems immediately. Abeni changed immediately when Ocholi came to live in the house. Her thoughts were that the village boy had come to the city to deprive her children of what rightfully belonged to them. With this picture of the boy in her heart, she despises him very much. She made him the slave of the house. Ocholi would be the one doing all the odd jobs at home. She had thought that her haughtiness to him would frustrate and compel the poor boy to return back to the village. Ocholi’s urge to serve his uncle and acquire the western education he had come for kept him going. Above all, he is a son of Adumu land who can never be timorous in any way. Ocholi was washing their clothes one Saturday morning and he asked Agbene to help him wash the plates since he was washing their clothes. Agbene refused with a sardonic smile on his face because his mum had told all of her children that they were princes. “Princes are not meant to do hard jobs, they are meant to enjoy the good things of this life,” Abeni told her children. She made them to understand that Ocholi was a village boy and was supposed to do all the hard work at home. “That village boy is very strong, do not assist him in doing any house work,” she advised her children. “Mali can you help me wash the plates?” Ocholi asked the other brother. “No, I can’t!” Enemali replied rudely in a supercilious tone. Ocholi became very angry but kept quiet. Ojima offered to help him wash the plates but his brothers shouted at him and told him not to. Ocholi then spoke and they started quarrelling. With the heavy noise emanating from the house, you would think something perilous had happened in the house. The scuffle went on for a long while between the three children. Ojima was acting as a liaison officer between them trying to make peace and stop the argument when Agbene called Ocholi a “village boy”. Ocholi became very enraged with great anger and he slapped him. Agbene prodded him heavily and he staggered a bit but he regained his balance after about ten seconds. They fought until they became tired. Apart from being the most senior among them, Ocholi is the grandson of Olachene the Chief Priest of the grand-gods of Adumu land. He is also the son of Adah, one of the most feared warriors in the whole of middle belt. He had inherited most of his grandfather’s traits except for the strength which he had gotten from his father. He defeated the joint force of the two miscreants and the argument ended. When Ocholi finished washing the clothes, he went ahead and washed the plates. When their mother came back from the market Ojima narrated everything that had transpired while she was away. She convened all of them together for questioning. She was very happy when Mali told her that they had not helped Ocholi wash the plates because he was the houseboy. She had told them that Ocholi was the slave of the house and she is glad that her children are taking their position in the family. She never wanted Ocholi to deny her children of their rightful inheritance in the family. Before she could add another word, Mali had already started talking. He did not conceal the fact that Agbene had called Ocholi a village boy. Agbene also told his own part of the story but branded it with many incredible lies. His voice was full of deceit and his mum noticed it because she knew Agbene could be very cunning like a dog’s hind leg but she did not question it since it was what she wanted to hear. She did not care about the lies of her son. She was just looking for every opportunity to scold and punish Ocholi because she despises his presence in the house. Despite the plight inside Ocholi’s mind, he tried to control his temper not wanting to utter any word because he would cry and they would use that to laugh at him. He could no longer hold back when Agbene added the lie that Ocholi had called her names and that was why he refused to wash the plates. Ocholi was thinking of what to say before Ojima spoke. “It’s a lie!” Ojima screamed. “Shut your dirty mouth before I shut it for you with a slap!” Mrs. Abeni threatened Ojima. “Did I ask you any question?” She queried further. She had never liked Ojima as much as her other children because of his soft and kind nature. She strongly believed that Ojima had inherited this trait from his father and she sees such trait as an impediment for a man aspiring to become a success in life. Ocholi started to speak but Abeni shut him up saying that the answers she had gathered from her children were enough reason for her to see that he was the villain in the whole saga. “You should have washed the plates before washing the clothes instead of bothering these fine boys with your lazy attitude,” she said as she was pointing at her children. Ocholi was astounded by her statement and her sense of reasoning and judgement. Instead of allowing the argument to subside, Abeni decided to exacerbate the situation going on in Ocholi’s mind by pouring more oil on already troubled water by her statement. “You should have been grateful that my husband brought you from that dirty slum you call a village,” she added. Ocholi then realised that Mrs. Abeni’s attitude is a deliberate act to get him annoyed and feel less important. “I refuse to be intimidated,” he said slowly to himself in his heart. He opened his mouth to say something but stopped. He tried very much to control his temper because his grandfather had once told him that anger blows out the lamp of the mind. He had been thinking of what to do to Mrs. Abeni and her children. He also remembered that his grandfather had once told him that anger dwells in the bosom of fools when he inquired from him why he was always smiling when being offended by someone. It was as if his grandfather had a permanent smile plastered on his face so one would not be able to tell when he is angry or happy. He could hear Olachene’s voice ringing in his head saying, “My son, the reason I am always smiling even when people offend me is because anger is a killing thing and it dwells only in the heart of a fool. It kills the man who angers for each rage leaves him less than he has been before, it takes something from him.” He was smiling as he was thinking of all this. “I refused to be a fool,” Ocholi said in his heart. “Why are you smiling, you this village boy?” Abeni cut through his thoughts with her words. She further explained that when somebody calls you a village boy it only means you are from a village and not an affront. “Are you not from Adumu village?” she asked in a mocking tone. Then she and her two children guffawed with laughter. The laughter incensed Ocholi. He clenched his fist, his heartbeat had already increased and his whole body was trembling. He was boiling with rage. It was as if he was seeing a long time enemy waiting to pounce on. His adrenaline secretion had also increased and he was all ready to attack. It suddenly dawned on him that he is in the city and not the village. Above all, the woman in question is his uncle’s wife. He suddenly quelled all forms of attack he had been mustering in his head because he remembered the promise he had made to his uncle three months ago in his car when he first came to the city. He knew his uncle believed him when he made that declaration and he would not want to betray that trust Mr. Ado had bestowed on him by allowing Mrs. Abeni to lead him into doing what is totally wrong. “I am the son of Adah, a great warrior of Adumu land,” a voice told him in his thoughts. He wanted to say that to Abeni but he stopped because it would only insinuate that he was insulting her. He only told her that Adumu is not just an ordinary village. Abeni meted out her punishment to him because he spoke in defence of his motherland. “You have insulted me so there will be no food for you this evening,” Abeni said. “Go to your Adumu and find food to eat there and if you think you cannot go to Adumu today, then in supplant you can drink water,” she concluded. She had been envious of the boy ever since he had come to the house because of his strength, diligence, good nature, and for the fact that his character was irreproachable. “Ocholi the village boy from the bush village of Adumu,” Mrs Abeni said vociferously. They all guffawed with laughter again but Ojima did not laugh. Ocholi just kept quiet staring at the sky as if someone, a higher voice, was up there telling him to ignore the callous woman and her impudent children. Ojima as a boy was not contented with the way his mother had marshalled the whole situation. He knew his mum had hit below the belt in her judgment. He knew in his heart that this type of upbringing would be inimical to his brothers and to the public. At his tender age, he had read many folktales of similar circumstance where a mother would corrupt her children by what she teaches and advises them. Ojima could not believe his ears. “Was this my own voice?” he asked himself. He didn’t know from where the courage to shout at his mum was coming from, but he was glad he did. “At least someone needs to speak up for the gentle and kind Ocholi,” he thought again. He was tired of watching his mother and older siblings scolding and insulting Ocholi all the time. He had lost count of how many times he had shouted and scolded them in his mind. At one time he had even slapped his mum and Agbene in his mind. He is happy this time his lips and tongue betrayed his mind that they echoed out what his mind had been trying to do for a long time. “Shut up!” Mrs. Abeni retorted almost immediately. “What do you know about being fair or not being fair, you this foolish boy? You think you are wiser than your elder ones, abi? Will you get out from this place before I slap you!” she threatened Ojima again. Ojima left the place without uttering a word and feeling sorry for his cousin. Agbene and Mali wriggled, turned and then said sorry to Ocholi from a distance with excitement in their voices. Although they said they were sorry there was no atom of pertinence in their voices. Ocholi knew they were not saying sorry because they truly meant it. He knew that there was more to it than the eye could see. He was trying to figure out the reason why Agbene and Mali had said sorry to him, and then it immediately dawned on him that they were actually saying sorry mockingly because there would be no dinner for him. “They are actually excited because I won’t eat this night,” he finally thought. Mrs. Abeni also left after leaving out a loud hilarious laughter. Ojima also refused to eat that night because he was feeling sorry for his cousin. At first Ocholi was very worried because of all that had happened but an apt recollection of his father’s words to him on the night of departure at his Atakpa enlightened him. Every compound in Adumu has its own Atakpa, and he remembered sitting with his father in his Atakpa that night. He pictured how his father had leaned back on his wooden chair and looked directly into his eyes. He could remember how he was staring at his father’s lips and the movement of his jaws as they were saying those words to him. He could remember also how his grandfather had also prayed for the grand-gods to protect him because he was going to live with another people. He remembered how his grandfather Olachene had told him never to be frustrated by anyone’s attitude in the city and had also promised him that the grand-gods would be protecting him all the days of his stay in the city. Olachene had told him all these things after communing with the grand-gods. He made him to understand that it was a message from the gods. Ocholi was staring at the ceiling fan which had been spinning round and round on the roof as he was lost deep in his thoughts. It was as if the spinning of the fan was going hand in hand with his thinking. “My son, you need to be very careful and cautious of them because they are not from our village, especially the woman whom you are not related with at all,” Ocholi could hear his father’s voice saying this to him. “But they are our tribe and the man is my mother’s elder brother,” Ocholi reminded him. Ocholi never gave any serious thought to this his father’s words to him that night until now. He lay on his bed thinking of the warning. His dishearten state had changed now after mustering courage from his father’s words. They gave him hope again and he thought to himself of how he was going to handle Mrs. Abeni and her children henceforth. “I’m going to be very careful from now on,” he said in his heart. He was no longer peeved. He diverted his thoughts to his village, how his family is one of the greatest in Adumu. He thought of the entire joyful events that he was already missing in his hometown. He felt humiliated because in the village nobody would dare talk to him in such a manner knowing he is the grandson of a priest and the son of Adah the most dreaded warrior in the whole of the middle belt. He remembered one of such moment when he had encountered a problem with someone in the village simply because he was hunting on his farmland. The man had flogged him and commanded him to go and bring his stupid and foolish father. When he got home, he narrated everything to his father who immediately went straight to the man’s home to inquire about what had happened before he had the nerve to insult him calling him a stupid man. When Adah got to Okpanachi’s house he was in great rage when he did not find him there. He met his wife grounding pepper on a local stone. “Where is your husband?” Adah yelled at her. She could not compose herself to utter a word. He then turned to Okpanachi’s eldest son making brooms from a palm frond. “Where in the name of the gods is your father?” he said as he was drawing closer to the boy. Immediately when the boy saw that Adah was drawing closer to him, he stood up and cringed backward from the position to distance himself from the enraged warrior. There was no adult in the village that did not know of Adah’s heroic tale. Out of the blue, Okpanachi’s wife saw him coming in with a friend from where they had gone to drink ọtẹ-ẹpkẹ. They were inebriated from the excessive alcohol they had consumed. Okpanachi’s wife pointed her hand in the direction of the compound exit so that Adah could see her husband coming. “What is the matter?” Okpanachi yelled out in a tipsy voice as he was approaching them. “What!” Adah growled, his eyes popping out of their sockets with boiling rage. Okpanachi did not even see it coming. The last thing he saw was Adah’s big hairy hand that looks like a sumac up in the air. Okpanachi had no idea when and how it landed on his face. It was the fiercest slap he had ever received. Moreover, the fact that he was not expecting the slap made it much more difficult for him to comprehend and put up a fight. The full impact of the slap sent him reeling awkwardly backward a few steps before falling flat on his back. For several seconds all he could see were dozens of stars running rings round his head as he stared into the air. He had been forced out of his inebriated state from the slap. Okpanachi’s friend was surprised but could do nothing because Adah was one of the finest and greatest warriors Adumu had ever known. He had been forced out of his own drunken state as well too. He knew his friend must have done something bad to Adah to have warranted such a visit from him. “What did he do?” his mind kept asking him. Even Okpanachi’s wife and son were also asking the same question in their minds. They didn’t know what Okpanachi had done to Adah to get him to this level of rage. They have all known Adah to be very humble and calm. “How dare you? How dare you call me a fool? How dare you insult me calling me a stupid man because my son was hunting on your farm? Or am I the one that was hunting there? You even have the guts to tell my son to go home and notify me that you have insulted me,” Adah kept asking and yelling out angrily. That was when the people watching knew the offense Okpanachi had committed. “How dare you?” Adah asked again, his body still spitting fire. His entire body trembled as he spoke. Okpanachi did not need a priest to tell him that he might not survive another wallop from Adah. As he lay helplessly on the floor and was resting his cheek on his right palm he had already been forced out of his drunken state so he now sees and can think clearly. With a rehabilitated dynamism, Okpanachi sprang to his feet and said, “I am sorry sir, it was a mistake but …” Adah did not allow him to complete his statement as he started drawing closer to him again. He knew Okpanachi still had ọtẹ-ẹpkẹ in his system and if he should allow him to continue talking he might want to tell him the whole story from the beginning. He was glad that he had met Okpanachi in this state because Okpanachi couldn’t deny the fact that he had insulted him. “Indeed, In Vino Veritas,” Adah thought to himself. Okpanachi was retreating backward as Adah was drawing closer to him again. “You have not even begun to know sorry yet. You wait until after I am done with you, then you will understand completely what sorry is,” Adah fired back as he was drawing closer to Okpanachi. He raised his hand to land him another whack but Okpanachi’s wife and son blocked him. They knelt down and started begging for mercy. Okpanachi was praying silently in his heart that the gods should touch Adah’s heart so that he would not slap either his wife or his son because he knew that none of them could withstand his smack. “He is very sorry for insulting you,” Obogo said. This was the first time he spoke since the incident had started. He was also thinking straight now that the ọtẹ–ẹpkẹ he had drunk had left his system. “Please temper justice with mercy. You can see that his whole household is begging you. I am also begging you,” he added. Adah dropped his hand and walked out of the compound abruptly. He threatened to deal with Okpanachi rigorously. It took the intervention of the elders in the land before Adah forgave him. They pleaded on Okpanachi’s behalf and blamed him for insulting Adah. “Next time just scold and thrash the boy and not his father,” the elders cautioned Okpanachi. Okpanachi had lied that he did not know that Ocholi was Adah’s son. He even added that it was out of annoyance that he had uttered those words. Remembering this now, Ocholi laughed for the first time since the incident between him and Abeni had ended. “If not for this white man’s education what would bring an illustrious son of Adumu like me to this kind of place? The people in this house are all wicked,” he thought quietly to himself. He quickly recalls that his uncle and Ojima have not been wicked to him. He then prayed silently to his ancestors not to give to him a wife that is as wicked as Mrs. Abeni. His thoughts now shifted to Ojima and his tender heart, how he had been standing aloof with his family members except for his father. Although Ojima could not stand up for him against his mother and brothers because he was the youngest, he still admires his courage. He thanked his ancestors for giving his uncle a son like Ojima and also for giving him someone that understood his plight in the house. “Maybe Ojima inherited his father’s traits. Mr. Ado is a very kind man and his sister, my mother, was also very nice and generous according to what people say. I am not surprised Ojima is kind as well,” he told himself. Ojima entered his room and he did not even notice him because he was deep in his thoughts. The boy cleared his throat to disrupt him but Ocholi was too engulfed with his thoughts to hear any sound. It was when Ojima touched him that he knew that someone was in the room. He looked up and saw that it was Ojima, and he said; “You never reach to die o!” Ojima was surprise at this statement. He did not know what to say or how to reply because the statement sounded disgusting and fearful. “Is he wishing me dead?” he thought to himself. His inquisitive nature prompted him to ask what the phrase meant. Ocholi laughed and said that in Adumu it is a way of saying to someone that you were thinking of him before he came to meet you. Ojima felt relieved after hearing the meaning of the statement Ocholi had earlier made. “Well, I came to apologize on behalf of my mum and brothers. I know you are annoyed with them, please forgive them for my sake,” he said as he knelt down before Ocholi. Ojima’s action startled him. He was looking at him directly in the eyes. He sees how good and handsome the boy looks. He sees the gentleness and sincerity in the boy’s heart from his eyes. Ocholi could not help but pray and silently thank his ancestors for giving him a cousin like Ojima in this house. “If not for him, this house would have been hell for me,” he thought to himself. Despite the fact that he is six years older than him, he admires the young man’s sense of reasoning, thinking and courage. “You have a heart of gold and because of that I have forgiven them. Look at the way you spoke to your mum,” Ocholi explained. Ojima hugged him in appreciation and bid him good night. “Good night and sweet dreams,” Ocholi said to him too. When Ojima left, Ocholi forgot about everything he had previously been thinking about. He was perplexed trying to figure out why his cousin had reacted the way he did. He knew that Mrs. Abeni and her wicked children would not bring themselves so low as to ask Ojima to come and apologize to him on their behalf. He knew that the boy had come on his own accord. He could not find any suitable answer to the numerous questions that were now crowding his mind about what had prompted Ojima to react the way he did. “He is a just a good lad,” he finds himself saying. He was actually taken aback by the young boy’s sense of humour. “So this young fellow can even say when a person is piqued,” he thought. “I thank the gods for giving my uncle this kind of child,” he said with his hands open up into the sky for prayers. “I like that boy!” he finally said to himself. He equally appreciates the kindness his uncle and Ojima have showed him ever since he came into their home. He laughed at Mrs. Abeni and her two wicked sons because he knows from his heart that if they do not change their ways, they will be heading towards destruction. “Nobody dares harm a son of Adumu and go scot free,” he said to console himself. He said this with great zeal and courage believing strongly that it is very true. He could not even remember how he fell off to sleep until the next morning when he woke up to say his prayers. A rooster’s crow drifted through his window announcing to him that the morning was already around. When he woke up, he discovered that it was still dark outside because he could still hear the shrill sounds of the night cricket even as the sound was already dying away to also announce day break. He turned to the other side of his bed to look at his small table clock on the small desk in his room. It was 5 a.m. on the dot. “This is a very good time to say prayers to the ancestors,” he said to himself. This has been his tradition from the beginning in Adumu – saying his prayers first thing whenever he wakes up in the morning. The people of Adumu believe in saying prayers early in the morning before dawn because it is at this time that the spirits would all be going back to their home in the sky. They would be going back to give account to the creator on the task he gave them to perform at night. In one of the folktales told in Adumu land, the grand-gods send his spirits and messengers to go over to the earth at night to guard and care for his children while they were sleeping so that no evil will befall them. In the folktale, two men prayed to the grand-gods for money. One prayed at dawn because he believed that the early bird catches the worm while the other one prayed after daybreak. The following market week, the man that had prayed to the grand-gods at dawn was buying plenty things from the market while the one that had prayed after day break was not having any money to buy anything from the market. He was in pain and decided to visit the priest of the grand-gods. “Wise one I have prayed and sacrificed to the grand-gods to make me rich and provide for me but it seems my prayers are not working or the grand-gods have deserted a humble servant like me. Please I want you to help me talk to the gods. If I have done anything to them to warrant such treatment from them, they should forgive me and answer my prayers. My neighbour and friend were having the same problem of feeding but now he has a house and does not lack for anything in his house. The gods answered his prayers and ignored mine. Please I want to know what my offence is,” he cried to the priest. After the priest’s consultation he laughed and said, “The grand-gods have indeed received your prayers and they are going to answer them soon. The problem is with you. Don’t you know that it is better to always say your prayer before dawn? When you do this, the spirit that was assigned to watch over you in the night will immediately take your prayer to the grand-gods when he is leaving his duty for the day. But when you pray after day break, they might have already gone causing delay in your prayer being answered. Another spirit would be assigned to guide you during the day. This spirit will be with you until in the midnight when the night spirit will come over to care for you again. So if you want your prayers to be answered quickly learn to be praying in the morning before dawn,” the priest told him. The man listened to the priests’ advice to him and he started praying in the morning before dawn. The next market week he was also in the market buying things for himself. He soon became wealthy like his friend and neighbour. Ocholi has come to believe so much in this tale that he doesn’t miss saying his prayers to the grand-gods in the morning before dawn.